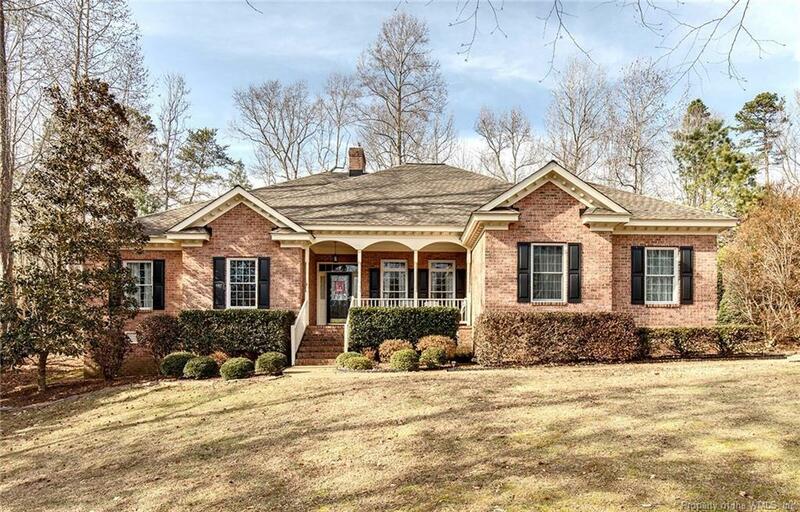 Very low maintenance, almost all brick home with 3 car garage, providing privacy on just over a half acre and easements to the right and behind the property. It is within easy walking distance to a large fishing pond, the Westbury Park Pool, tennis courts, softball field, etc. Quality construction, providing great one level living w/2 bedrooms on the main floor. Wake up to the sound of birds and sights of flowers in the backyard from the master suite. The kitchen has a large island, walk-in pantry and bright breakfast area overlooking the garden. There is tons of storage in the walk-in attic. The current owner added the 16'x12' sun room, Timbertech railings, Starling Gutters with leaf guard protection, $2300 Elkay kitchen sink, Trane gas pack, Bradford hot water heater & a 20 kw Generac generator that runs everything excecpt the dryer and sun room. The breakfast and dining room chandeliers are Murano glass from Venice, Italy. The office/living room has upgraded electric capacity. Enjoy sitting out on your delightful covered side porch that never gets direct sun.